We gather the second Tuesday of each month for microclasses brought to you by the community. This is a time where we teach one another skills, bits of knowledge, and wisdom. We have classes ranging from fermenting turmeric to aruveydic medicine to seasonal planting information. There are also local vendors that showcase their locally crafted products. We are an action based group- that means we are not afraid to get dirty! Throughout the year, we will hold permablitzes at a member's home. 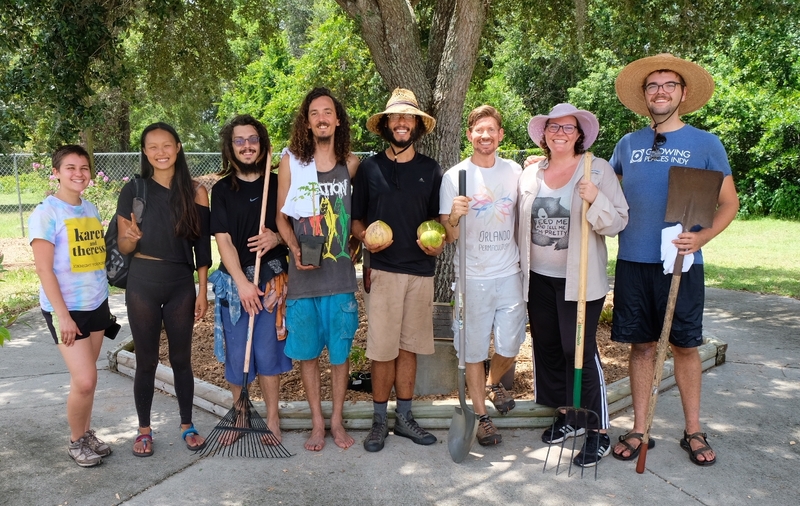 It is an educational opportunity for those learning to garden, a jumpstart to a eager member's yard, and a great time with community. Preparing the food that we grow is almost as important as growing it. How do we take perennial vegetables and add it to our diet? What are simple meals that we can prepare that satisfy our nutritional, environmental, and cultural needs? We are currently looking for passionate people to join our steering team! Please message us if you have interest in being the social media coordinator or the holistic cooking class coordinator.